We do almost everything with our smartphones and tablets now including swap multimedia files with friends. However, as most of us would subsequently be annoyed to find out, different devices require different formats of the same file to be able to play it properly. Whether it is a video, music or audio clip, or even just image files, to find compatibility you will need a one-size-fits-all super conversion tool. Adapter is that converter tool to help you convert videos, audio clips and images to popular and less than popular formats. You will never look at a converter tool the same way again. Get adapter here, it is supported on both Windows and Mac platforms, and it is free. For videos, audio and image conversion, you can do batch conversions instead of converting files one by one. 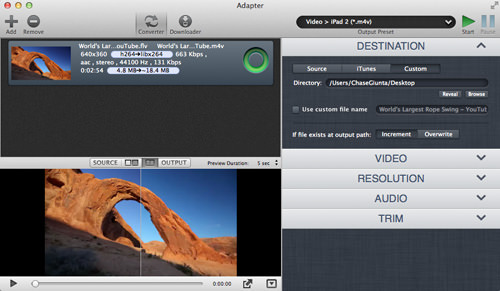 When converting videos, Adapter lets you pick the platform you want to convert your videos into. By choosing which platform it will convert the video for, the settings will be optimized to suit the chosen platform. Adapter also has a few handy tools like for example, Time Cropping. Once you have a video that you want to convert, you can choose to crop the sections of the videos you want and ready them for conversion. This way, you need not waste time converting parts of the video that you don’t want included. Set the starting point of the video and the ending time and the cropping will occur at the start of the video conversion. For Apple device owners, Adapter allows you to directly convert and save the video to iTunes, so you can sync the video straight into your devices after the conversion. According to settings, the converted video will be converted to the format which is compatible with the platform that you set for. But if you want to convert the files individually to other formats, you can. Or you can create custom settings. 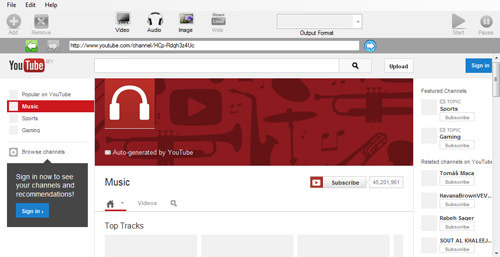 If you need to convert a video to audio, Adapter does that too. 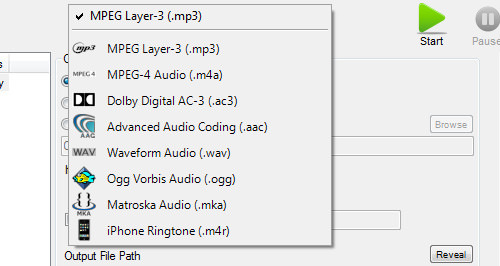 The created audio files are saved in MP3, OGG, M4A and M4R format. If those don’t work, you can convert it further in the audio section. 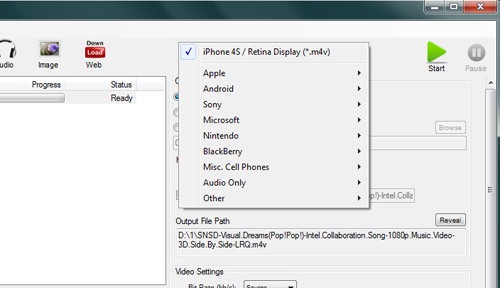 Adapter also has this feature where you can export video frames and save it as an image file. If there is any scene from the video that you want screenshot, just click ‘Export Frame’. The image will be saved in JPEG format. Similar to the feature for ‘video’, for audio you can cut the video and convert it at the same time. 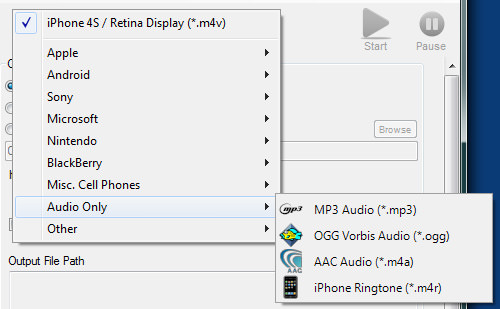 And, the converted audio file can be directly saved into iTunes. And like other converters, you can adjust the settings for sample rate, bit rate, audio channels and encoder. 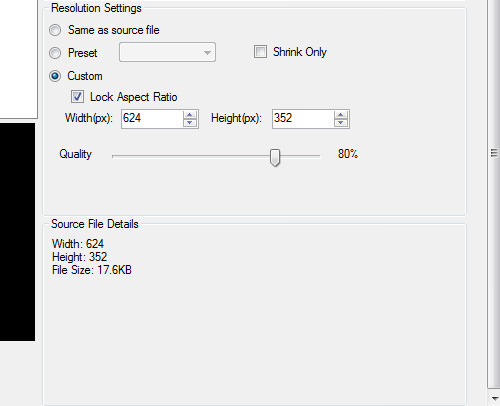 There are only minimal and basic settings for images: you can resize the image and adjust the image quality. Most of the time, that’s enough. Other than converting, Adapter can download videos from sites like YouTube straight from the application. After loading the video, if you press the ‘video’ tab, the downloaded video will be there. With that, you can get it converted straight instead locating the file and putting it into Adapter. As you can see Adapter is a great converter tool that has almost every conversion required figured out, in one application. But as with all tools, there are some minor limitations. At the time of this writing, conversions aren’t supported for iPhone 5 yet, only up to iPhone 4S. We believe this is easily rectifiable. Another problem has to do with the video download feature – it isn’t actually working. We got the ad downloaded instead of the video plus the built-in browser doesn’t load very smoothly. But we still love Adapter because it is a conversion machine! Would you try it?